Routing depth adjustment to 1/10 mm. Torsionally rigid base plate due to guide columns on both sides. Rocker and ratchet principle for convenient cutter changes. Tool-less copying ring changes. 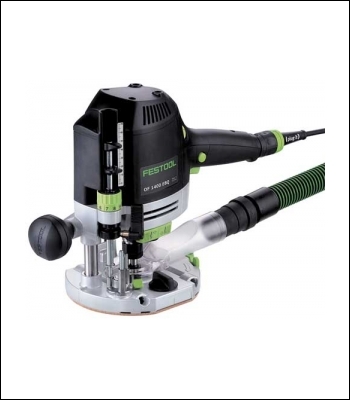 Up to 99 % dust extraction when routing with chip deflector and dust extraction hood. Quick-acting brake and MMC electronics. Rounding, chamfering, rebating and profiling edges. Routing circles and cut-outs with the multi-routing template. Grooving rear panels or recessing dovetail batons with the guide system.